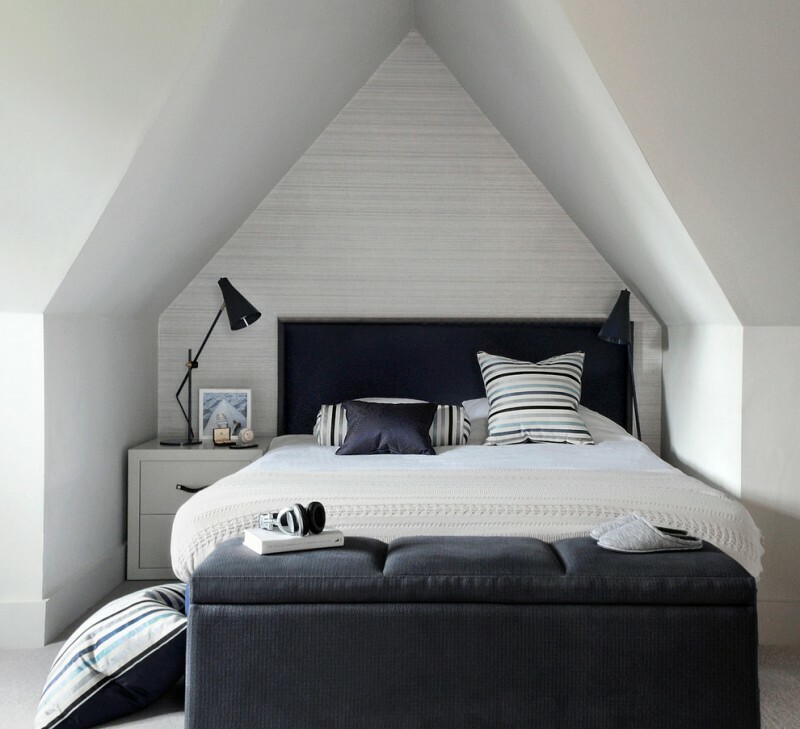 A classic bedroom may be a favorite bedroom style for many people. 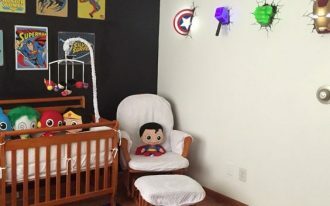 If you want to have a unique bedroom, a retro bedroom is an answer. 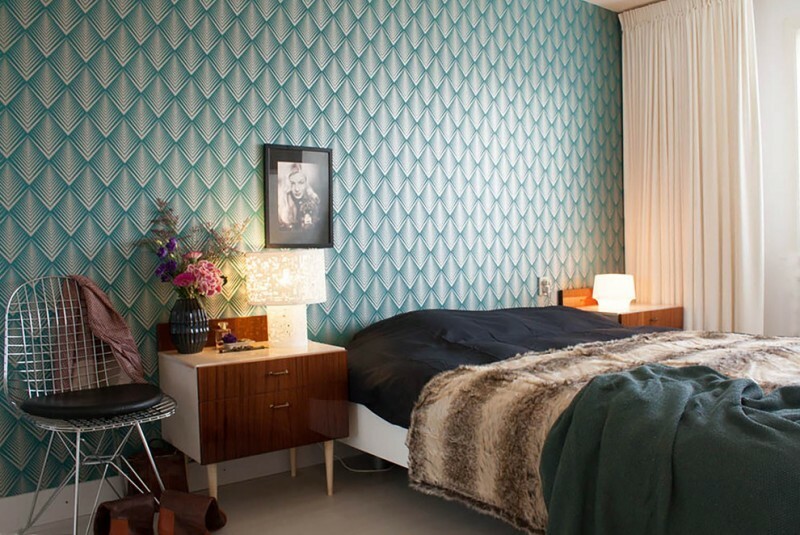 The style and interior of a retro bedroom are influenced by trends and styles from the past. 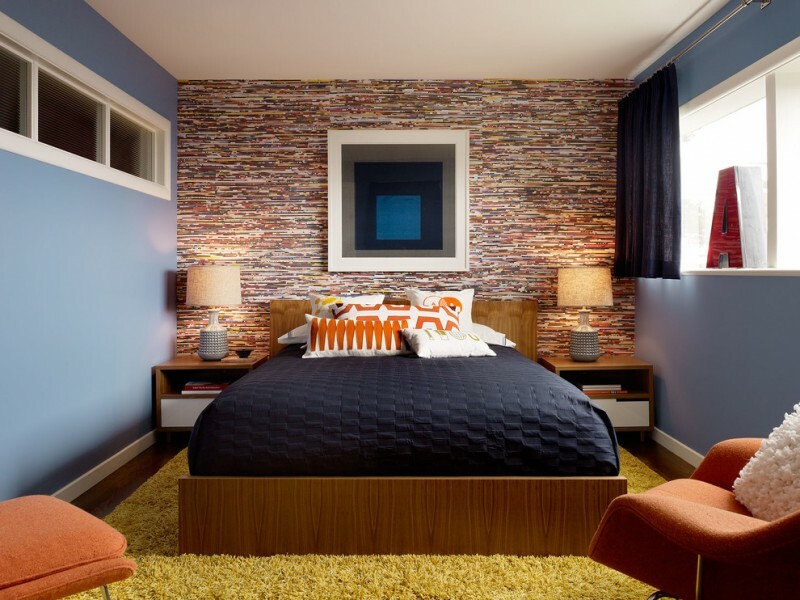 Besides retro bedroom requires a bold approach, it also requires certain personalities to pull it off. Retro style usually comes in bright colors and wild designs. Here are some amazing retro bedroom ideas that will inspire you to make a stylish and comfortable bedroom. 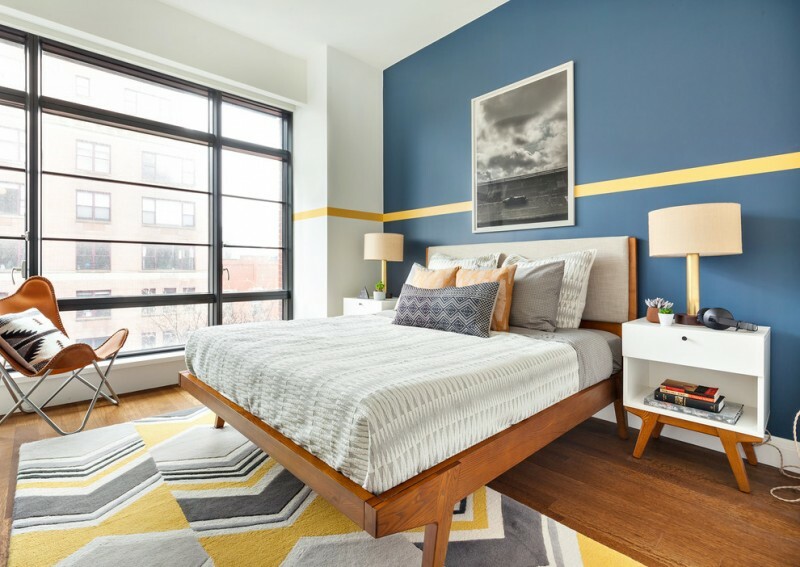 This colorful bedroom features retro wood bed with headboard, blue walls colorful mosaic wall, seating space, yellow shag rug, and nightstands. The wide windows with white frames are completed with the black curtain. This bedroom is gorgeous. It is suitable for a girl bedroom that provides a comfortable bed and shag seating. 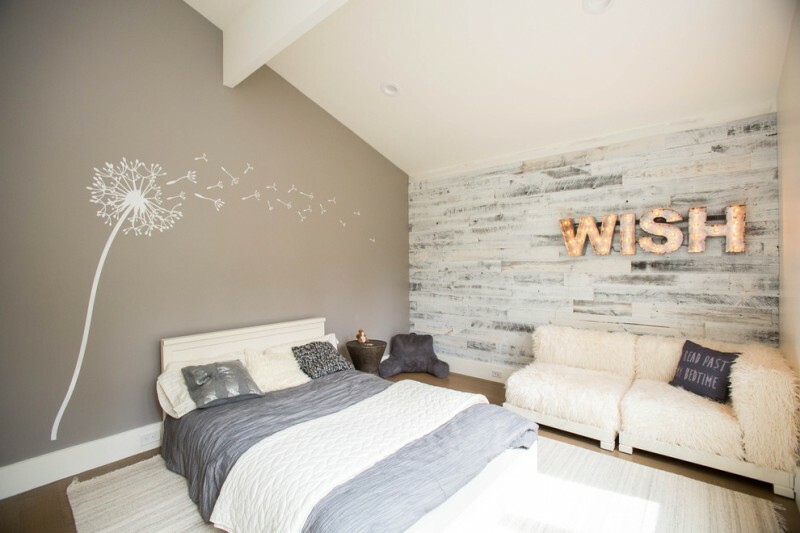 This word wall lighting and the accent wall behind it give retro style in this bedroom. 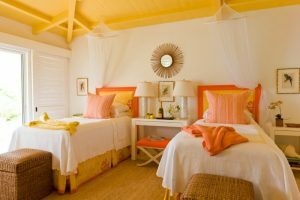 You can make an impact in a small bedroom by giving some pop colors in it. 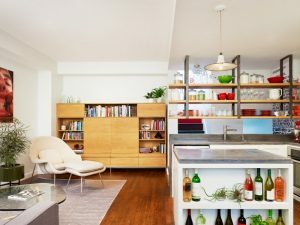 You won’t have an area for many accessories details or decoration if you have a small room. If that is the case, you should get the bold geometric cover to add retro style with minimal effort. 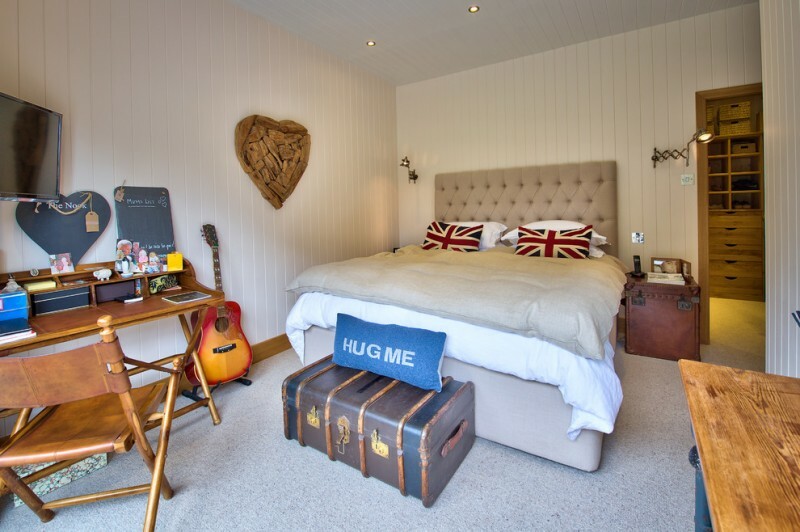 This bedroom is surrounded by vintage black and white photographs. 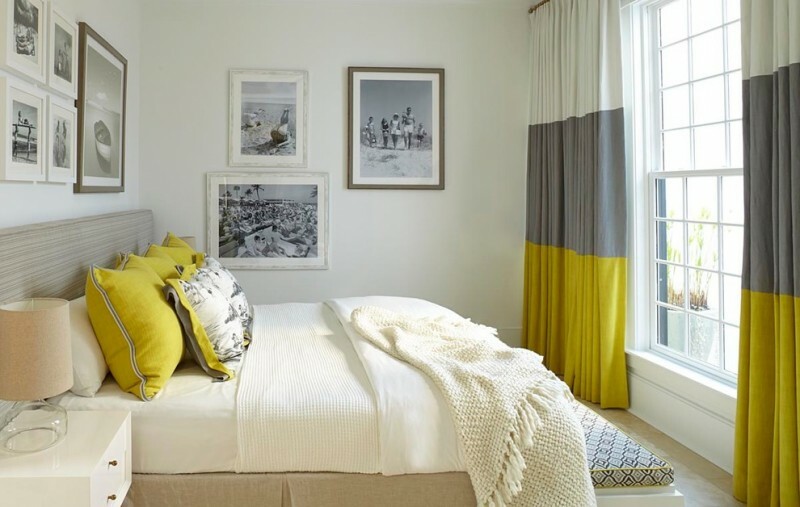 The drapery and yellow pillows make a retro style in this bedroom. The drapery was made by sewing together multiple fabrics and colors. Not only this bedroom gives comfortable bed but also retro style. The retro style comes from the dark wood nightstands, blue trunk as a bench, pillows, wood furniture pieces, and wall decoration. This retro bedroom is a real treat. It has great colors and fantastic patterned wallpaper. The bed without headboard provides a comfortable bedding and faux-fur throw. The table lamps with different size are put on the nightstands. 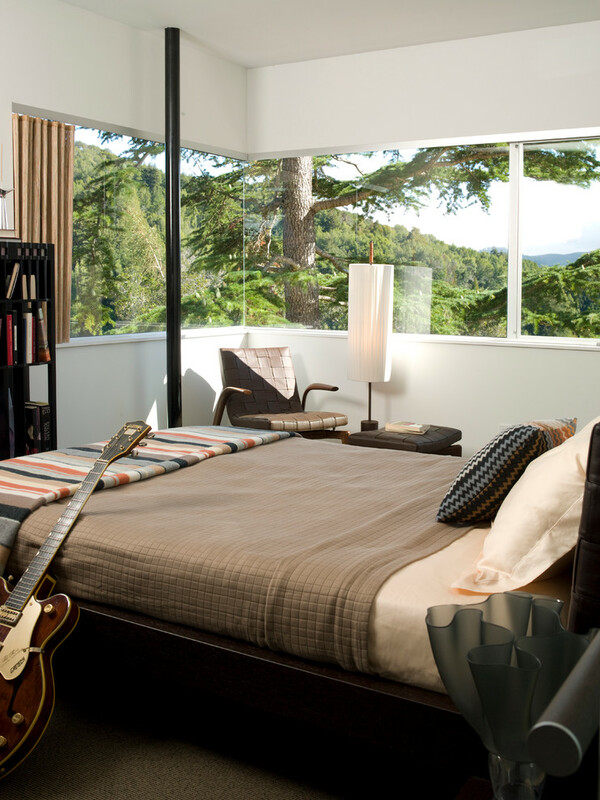 An Eames wire chair is placed near the nightstand. A corner window makes this small retro bedroom spacious. A window treatment here uses the stiff bamboo material on an inset track. A brown leathered chair, small round table, and a floor lamp are arranged in the corner as a reading space. This white bedroom is suitable for the twins. 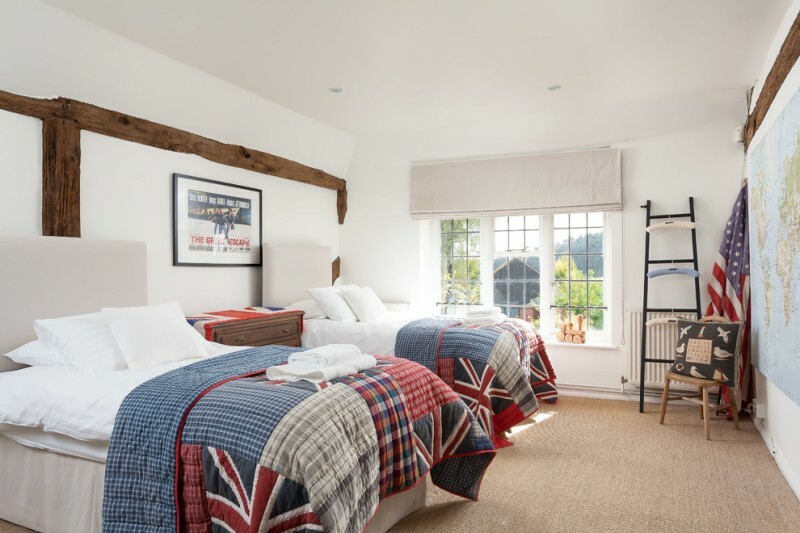 These beds have retro bedding with the tall beige headboards. The white framed windows have beige roman shade as the window treatment. This room definitely looks clean and neat. 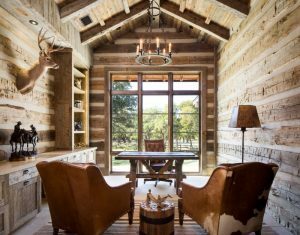 This is a perfect example of making simplicity, without losing any sort of retro accents. This retro bedroom features black bed, black headboard, white bedding, vaulted ceiling, white nightstands, black industrial table lamps, a black bench, and striped pillows. The textured wallpaper behind the headboard adds stripped line in this bedroom. 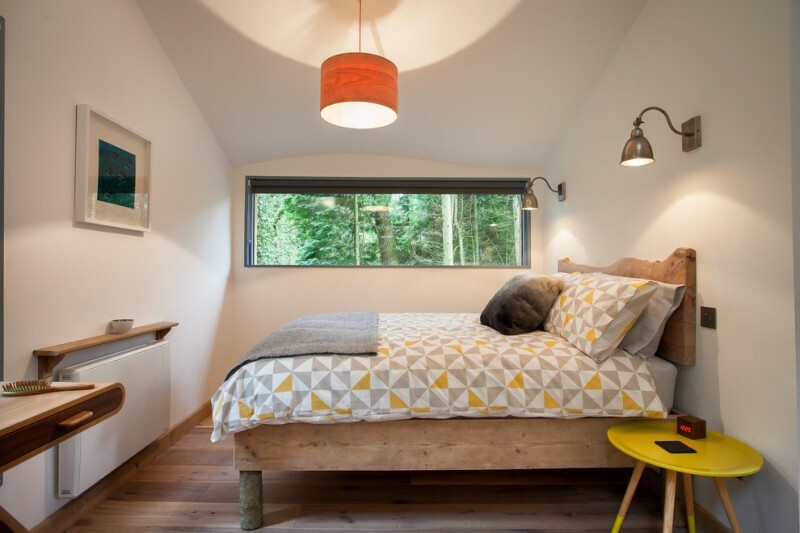 Looking at this bright bedroom will increase your spirit. The back accent wall has a yellow line on it. This bedroom also offers retro furniture pieces and colorful rug.